Why is there so much negativity associated with some really awesome, or at the very least nowhere-close-to-awful, directors and their movies? I try to figure this phenomenon out by looking at the specific example of my favorite director Zack Snyder and his movie Man of Steel. Michael Bay is the devil. 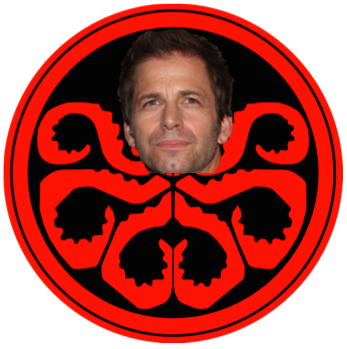 Or maybe Zack Snyder. Truthfully, I’m not sure who the greatest threat to modern movie-making is anymore. 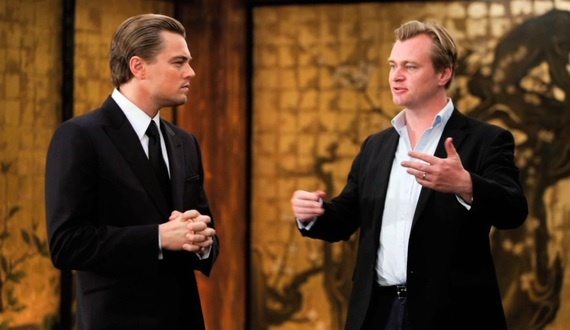 Both of these men, and a few notable others, are called the worst purveyor of cinematic sins disguised as a director in the history of, well, ever. The volume of these declarations is so high as of late that it demands attention. Fans, both on and off the internet, and critics have seemingly gotten together and decided that outright dismissing, usually with vitriolic hyperbole, the products of certain people’s labor, no matter how ambitious, profitable, or worthwhile, is not only acceptable–it’s expected. Bonus points are handed out if a complainant can claim the work is an affront to his own life. From a personal perspective, the movies, television shows, directors, and writers I love and assess as brilliant are often the ones being harassed by pitchforks and torches–as if they’re modern day monsters that need to be shamed back into hiding due to the revulsion they incite in others. In my weakest moments, when I hear my favorite works of art and artists decried as amateur, moronic, and (sometimes) hate-filled, I doubt my own tastes and intelligence. 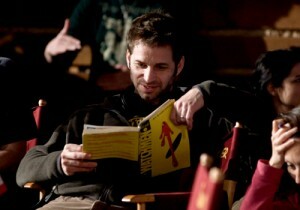 For instance, I’m an unabashed fan of Man of Steel and its director Snyder. After my first viewing of the movie, I was floored by some of the critiques launched against it. Plot points and character motivations that made complete sense to me were nonsensical to other people, so much so that many began to trumpet the film as a failure and a travesty. Due to the frequency and rabidity of these denunciations, my opinion of the film began to sour. Then I watched it again. Man of Steel is one of the greatest pieces of visual storytelling (including television) that I’ve ever had the opportunity and initiative to see, and, in my strongest moments, I’m unshakably sure of this assessment. Yes, I realize I’ve potentially lost a large segment of my audience by making such a bold claim. But that possible consequence is what perplexes me. No matter how much I rack my brain, I can’t fathom what is so awful about the movie that my stating that I appreciate it would instantly prove I lack intelligence. I can understand how someone wouldn’t like the movie, but not liking something isn’t the same as that thing being poorly crafted. Even though Black Swan made my stomach turn, Darren Aronofsky’s accomplishments in it are undeniable (perhaps because it made my stomach turn). Still, I don’t spend my time degrading the movie because, besides the facts that there are worse evils in the world and I have better things to do with my time, that feeling of disgust I experienced didn’t translate to disdain. What then about Man of Steel brings out such a level of contempt in large portion of its audience? The cause has to be more than mere dislike or discomfort. There must be some expectation these viewers held that isn’t being met, some important quality of visual storytelling that is being completely disregarded. And since I’m struggling to understand what that quality is, it must be pretty esoteric, as I’m well-versed in narrative form and conventions. So then, to figure out what I don’t know, let’s start with what I do know and love. I love television, and to a lesser extent movies, because, as Ayn Rand asserted, “by their nature, [they] are media suited exclusively to Romanticism (to abstractions, essentials and drama).” Whereas fiction allows you to spend time inside of a character’s head coming to understand his thought process, television and movies’ visual nature requires you to focus on actions and dialogue to induce a character’s beliefs and personality. With the written word, you have the time, space, and means to explain a choice, to acclimate your audience to a character’s words and actions through explanation and comparison. In television and movies, you do not. Your audience faces as much trouble understanding your characters as they do any other person they meet whose mind they can’t read (which is, assuming they’re not Professor X or Jean Grey, everyone). Of course, motion pictures do have the advantage of visual world-building to establish the theme that helps give significance to elements in a story, but I don’t want to jump ahead of my discussion. While Rand rightly observed that television and movies are pretty much the perfect medium for Romanticism, she also observed that, like most of modern storytelling, the mediums are actually dominated by Naturalism. She did point out some outstanding exceptions to this trend, though tempered their triumph with the note that they had to essentially apologize inside of their stories for their use of Romanticism. 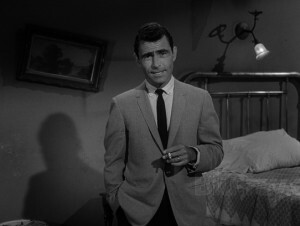 “Rod Serling turned to Romanticism,” she wrote, “but placed his stories in another dimension, in The Twilight Zone.” “Alfred Hitchcock…gets away with Romanticism,” she explained, “by means of an overemphasis on malevolence or on sheer horror.” Interestingly, television creator and show runner Carlton Cuse has recently turned Romanticist by using the horror genre. His two most recent shows are a prequel Hitchcock’s Psycho called Bates Motel and his attempt to re-demonize vampires in The Strain. By and large, however, the modern visual story is expected to be told Naturalistically. But what does that mean, to tell a story Naturalistically? What is Naturalism? And for that matter, what is Romanticism? On her webpage Naturalism in American Literature, Dr. Donna Campbell, Associate Professor and Vice Chair of the English Department at Washington State University, defines Naturalism as “a type of literature that attempts to apply scientific principles of objectivity and detachment to its study of human beings… that is, that human beings as ‘products’ should be studied impartially, without moralizing about their natures.” With this definition, we can see how producers and audience members might turn to and become accustomed to naturalism. As I pointed out before, characters in television and movies can appear to us just as the people we see every day—distant, unmotivated, and inscrutable. Indeed, Campbell backs up this assessment, “naturalistic writers…studied human beings governed by their instincts and passions as well as the ways in which the characters’ lives were governed by forces of heredity and environment.” Naturalism is thus mostly focused externally (if it is focused internally, it’s on instincts and emotions, not thought and reason). As I noted, a major element of television and movies is visual world-building. Thus, the tendency toward naturalism in television and movies is understandable because while a person can’t truly be captured in a pictures, his environment can. Essentially, Romanticism is anything but scientific. And why should it be? Science is best left to science, not art. The artist who employs the style recognizes that the art he creates is a selected recreation of how he sees the world because he is the one creating it. He cannot escape his perspective, so attempting to would be futile. But Romantic art isn’t necessarily poor because it’s a result of one man’s limited understanding of life. Rather, the quality of a work art is directly dependent upon its artist’s ability to expand his perspective and understand the world, to think about what life is. An artist won’t be able to create a deep, meaningful work if he doesn’t have deep, meaningful knowledge of the why of the world. Hope is the keyword here as the artist becomes a representative of his vantage point which he can only hope has a good enough view to reveal a deep, meaningful truth (a why) about the world. Otherwise, he is just another person in a long line who failed at making art. Of course, if you lack the ability to choose, you can’t choose which art is good or bad either. Therefore, technically, it’s impossible to fail at making Naturalism. In that statement is both my original question and the answer to it. The only way Walter White becomes a hero is if you think he is a victim in Season 1. To see the dominance of Naturalism in movies, you only need to look at the Academy Awards. The last six Best Picture winners told stories of people who are products of their environment, culture, and society. The two most stylistically ambitious of that group, Slumdog Millionaire and The Artist, were results of choices made to accurately represent Bollywood Films and Silent Films, not any specific theme or the free will of the characters. My point is not that these movies weren’t deserving of the award (I particularly enjoyed The King’s Speech), but that Naturalism is the standard set by the Academy of Motion Picture Arts and Standards with its highest award. It’s what they and audiences now expect–both stylistically and psychologically. The artist must comply or risk being ostracized or mocked. We’ll never be able to improve our lives, but we found love. Cue the celebratory dance number. Meeting the stylistic-side of the expectation is relatively simple. An artist must merely attempt to capture his vantage point. If he does, he may not be revered, but he will most certainly be respected (or at the very least not disrespected). On the other hand, meeting the psychological-side of the expectation is akin to a lottery. If a Naturalist’s vantage point accurately represents what an audience member sees to be true about the world (or some percentage of that truth), then the audience member will feel good about what he is watching because it resonates with him. However, if the Naturalist’s vantage point does not coincide with the audience member’s, the audience member will feel discomfort (or nothing). This discomfort is a result of the audience member being forced to acknowledge a truth that contradicts his own. However, he does not attack the Naturalist because the Naturalist’s work is not asserted to be anything more than an observation of the world. Any discomfort will be passing as the audience member knows that the Naturalist is just attempting to capture something external to himself, not evaluate the world. Naturalistic art is not threatening because the Naturalist does not choose to make his work as he does. His creation is claimed to be the way things are. He couldn’t create it any differently. If an audience member doesn’t like it, his issue is not with the Naturalist, but reality. To accept Naturalism, either as an artist or audience, is to accept that you have as little choice in your life as your characters–that is to say, none. Art becomes, as Campbell states, “the futile attempts of human beings to exercise free will,” and so does life. Art becomes a pact between the Naturalist and his audience to understand the helplessness of human existence–and an obligation on the Naturalist’s part to never include his own views, his own beliefs, in his work because they hold no influence on his own life, let alone his audience’s lives. The Romanticist doesn’t just break this human helplessness pact between the Naturalist and the audience, he obliterates it. By creating art that emphasizes free will through the use of free will, the Romanticist is not only asserting that choice is important, but it makes a difference. His art becomes about more than free will; it becomes about his assessment of how to best use free will. The plot of his story is a portrayal of his values, beliefs, and morals. Thus, if an audience member doesn’t like a Romantic work because it contradicts his vantage point, it is not due to reality, but the artist. Disdain swells in the audience member as he identifies the artist as the source of his discomfort…and someone who isn’t bound to the same rules he is. The Romanticist’s characters aren’t bound by the human helplessness pact either. They change events and bring about their success or suffering based upon the decisions they make. Pointedly, the characters who suffer and fail are likely the ones who have rejected the efficacy and/or importance of free will as they are punting on their opportunity to better their lives. In other words, when someone who has accepted the human helplessness pact watches a Romantic television show or movie, he is forced to confront the idea that, by accepting such an idea, he is abdicating his opportunity to be healthy, wealthy, and wise. In this light, the contempt for these movies and television shows, the hate-filled derision and belittlement, is understandable. It is a response to a threat–a threat that is terrifying to the core of what someone believes. Kryptonian by birth. Human by choice. There is perhaps no better example of this phenomenon than the response to Man of Steel. The two most controversial scenes in the movie are the two choices Clark Kent/Superman makes that have the greatest effect on his life (and the entire world). The first occurs relatively early in the film, setting up the second. The series of causality that strings the two together is what Rand means when she refers to “plot”–a decision creates a concrete outcome which leads to another decision which leads to another concrete outcome and so on. What then creates a decision? In reality, it is psychological motivation. In narrative terms, it is theme. The first major choice Clark Kent makes is based on his refusal to accept the consequences of possessing superhuman ability. 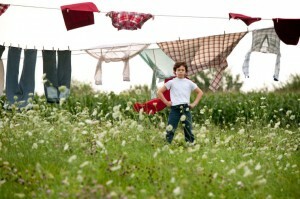 A young man in his 20s, Clark is still under the influence of the beliefs held by his father Jonathan. It’s not until he willing consents to watching his father die that Clark begins to move beyond that influence. Caught on the road during a tornado, Clark and his mother run to an overpass while Jonathan stays behind to help free some people in other cars (a very Superman-esque move). On his way to join his family at the overpass, he notices that the Kent family dog is still in their car. He rushes to rescue the creature that is weaker than him (not out of pity, but love) and snaps his ankle in the process. Standing in the street as the family dog runs to his wife and son and his ankle is bent at a cringe-inducing angle, Jonathan holds his hand out to ask his son not to save him by sweeping him away. The storm does so instead. Let me die because people can be jerks. Jonathan’s mistakes, though well-meaning, are numerous. He hasn’t yet accepted his son’s abilities or maturation into manhood. He, ironically, is the dog to Clark’s Superman (ability-wise). He also holds a negative view of humanity as he believes that if people learned about Clark’s powers, they would destroy him and the world. This view is what he teaches Clark through his life and death. Clark’s only mistake is singular–accepting his father’s view of humanity. He is only able to shake the idea when he experiences its consequences on a deeply personal level. Jonathan’s death is an inexcusable tragedy that Clark could’ve easily prevented with little to no harm done to himself or the world. Clark realization of this fact is what fuels his anguished scream as the twister spirits Jonathan away; and it isn’t until years later, when meeting his biological father Jor-El, that Clark learns how good humanity actually is. Jor-El, an alien from the planet Krypton, explains that their society was so strictly controlled that they had eliminated choice by growing all babies in incubation chambers and predetermining their lives…until that way of life caused their planet to be destroyed. Predicting that societal demise, Jor-El premeptively sent his newborn son, their culture’s first live-birth in ages, to Earth to start anew. Now, with Earth being threatened by the few remaining remnants of Kryptonian society, Clark must choose which side he’s on (the advanced-but-controlling Kryptonians or the less-developed-but-free Humans) by figuring out the best way to use his abilities. The second major choice Superman makes is based on his full acceptance of the consequences of possessing superhuman ability. Kryptonian General Zod arrives on Earth and intends to conquer the planet and wipe out humanity in order to create a new Krypton and restart the predetermined growing cycle. Eventually, Superman and Zod face off in a climatic battle of extremes–freedom vs. tyranny (or choice vs. non-choice)–causing Superman to make the “choice heard round the world.” As Zod attempts to use his heat vision to kill a human family, Superman grips his neck and begs him to stop. Zod refuses so Superman chooses to protect humanity by eliminating the last remaining piece of Krypton. He snaps Zod’s neck with an anguished scream that parallels the one he unleashed following Jonathan’s death. He has finally accepted the consequences of possessing superhuman ability. He is finally the Man of Steel. It’s hard out there for a superhero. In other words, if Clark Kent was truly going to become the Man of Steel, there had to be reasons for him to do everything he does. Why? Because people don’t do things just because. They make choices based on reasons. At least, they do in Romanticism. The process Goyer and Snyder are describing in these quotes is essentially the Romantic plotting process. They know their theme and their characters, so they create events which force their characters to make decisions that reflect their theme. The Romanticist doesn’t simply copy situations from real life, “let the story evolve naturally,” or “let the characters control the story” as many artists claim they do. He crafts non-natural and exaggerated choices and events around his story’s theme–a trademark of the work of Goyer, Snyder, and Nolan. In Goyer’s Blade trilogy, the titular Blade must continually decide if he wants to keep using his “Daywalker” vampire abilities to fight evil vampires or to join the ranks of the vampires. In Goyer’s television series Da Vinci’s Demons, Leonardo Da Vinci chooses over and over again to use his mind to conjure inventions that save Florence, the last remaining free state in Italy, from being conquered by the Holy Roman Empire. Invention is the mother of da Vinci. There, I solved the series. You’re welcome. In Snyder’s movie 300, Spartan King Leonidas must decide whether to stand against the invading Persians or kneel to their “God-King” Xerxes. In Watchmen, each of the heroes must decide if it’s worth continuing to protect the world. In Sucker Punch, the women must decide whether they want to allow the men to hold them captive for the rest of their lives or not. In Nolan’s movie The Prestige, Christian Bale’s Alfred Borden and Hugh Jackman’s Robert Angier must decide how to succeed in their chosen craft of magic. Their differing approaches fuel the movie’s twist ending. In Inception, Leonardo DiCaprio’s Cobb must decide if he wants to live in reality or a multi-layered dream world. Cobb’s ultimate choice fuels the controversial ending. 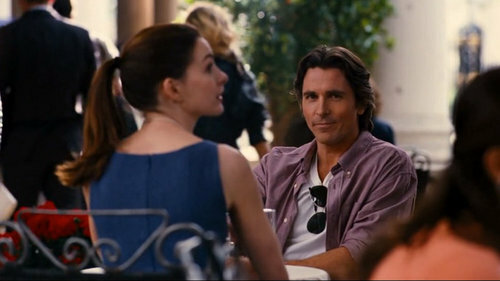 In The Dark Knight trilogy, Bale’s Bruce Wayne must decide whether to use his multi-billion dollar fortune to dress up like a bat and fight crime or not (and how to handle the personal and societal consequences of doing so). Usually these outlandish choices go uncriticized, but every once and awhile one, such as Man of Steel’s neck-snapping, blips the radar of audience members who expect Naturalism, and they toss the whole film out with the choice’s bath water. Nolan’s most notable example of rousing the ire of Naturalists is The Dark Knight Rises. Because it was the third and final act in Nolan’s Batman trilogy and the followup to the mega-smash The Dark Knight, the film was never going to be viewed purely on its own merits. Still, it was generally embraced by the movie-going public and critics with a worldwide box office take that surpassed The Dark Knight’s and a large percentage of positive reviews. This response makes the hostility expressed toward the movie that much more intriguing. Manufactured, synthetic, reconstituted, processed, characters “without heart and soul, not to mention flesh and blood” that “eventually lose all sense of reality”–these words and phrases are all buzz words for objecting to Romanticism by expecting Naturalism. Romantic art is indeed manufactured, synthetic, reconstituted, and processed. The assumption that art shouldn’t be is the definition of the expectation of Naturalism. The words Reed used to describe The Dark Knight Rises carry no inherent negative connotations unless Naturalism is assumed as a given. 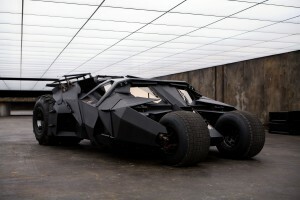 From the beginning of his trilogy however, Nolan asked the audience to think outside of its assumptions about Batman to understand a new rendition of The Caped Crusader. His collaboration with Snyder then, who asked audiences to do the same with his rendition of Superman, is easy to understand. In a movie about Batman, Nolan had Bruce Wayne’s most trusted confidant assert that he shouldn’t be Batman anymore, and at the end of the movie, Bruce Wayne took the advice. He chose not to be Batman and disappeared to a cafe in Florence. Though there have been notable variations on the character (such as Frank Miller’s The Dark Knight Returns), one truth has always remained in the Batman mythology. Bruce Wayne has to be Batman. It’s predetermined. He has no say in the matter. No matter what fighting crime does to his life, he has heard the call and must answer it the way a religious servant hears God’s call and must obey. The same idea holds true for Superman, perhaps even more as his story is often seen as a version of the Jesus myth. He had no choice in being sent to Earth or born with his powers, so what does he always do when he learns how to control them? He saves people because doing so is his calling. Essentially, from a Naturalistic approach Bruce Wayne is culturally determined to become Batman. He sees his parents murdered by the scum that overtakes Gotham and grows up as a billionaire with that burden. There is no other outcome for him. Likewise, from a Naturalistic approach Clark Kent is biologically determined to be Superman. He is a Kryptonian on Earth. There is no other outcome for him. At least, there wasn’t another outcome for either of them before Nolan (or Snyder). 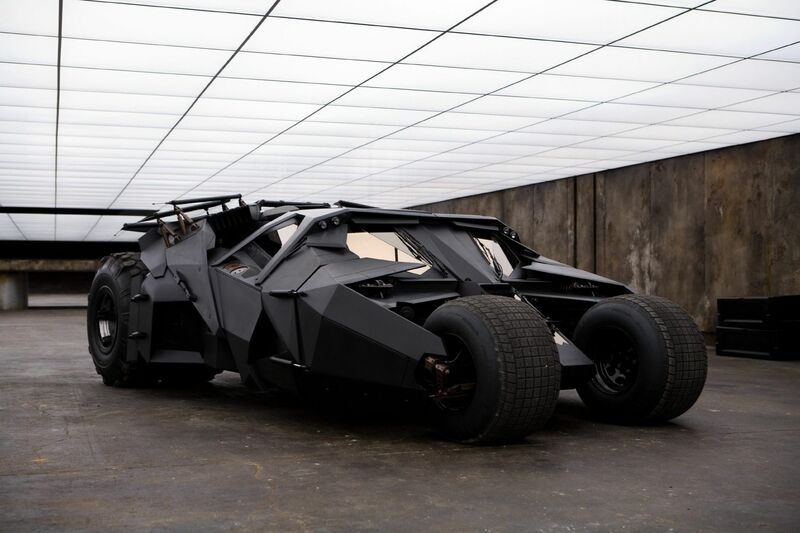 What drives some people batty about The Dark Knight Rises (besides the Batmobile) is Wayne’s ultimate choice to not be Batman anymore. It’s why they complain that Nolan’s trilogy isn’t a faithful adaptation of Batman. The conceptual approach of all three movies is to center on Wayne’s choice to be Batman, explain it, and demonstrate how it affects Gotham and himself. Man of Steel detractors raise the same objection when complaining about Clark not saving Jonathan from the tornado and Superman snapping Zod’s neck–the adaption of the character isn’t faithful. 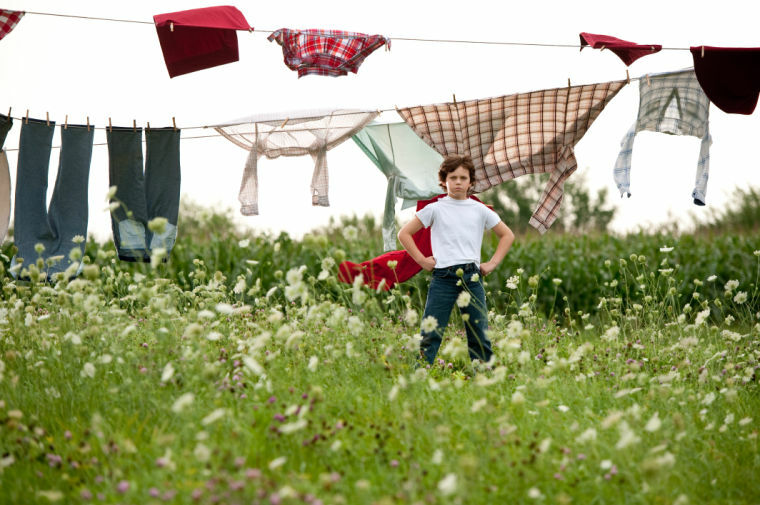 “That’s not Superman in Man of Steel,” they say. What they’re really objecting to though is the movie’s focus on showing how and why Clark Kent chose to be Superman because he’s not supposed to get to make that decision (or deal with all the psychological consequences of making it). If it’s a tumblr, where are the pointless reblogs from teen girls? Interestingly, Nolan seems to receive a free pass from Naturalists on his stylistic approach. As I noted, even The Dark Knight Rises was generally revered. This acceptance is likely because his style includes some attributes that are generally associated with Naturalism, such as the oft-noted dark-gritty realism he brings to Gotham. He also very rarely outlandishly demonstrates his focus on choice. For instance, the much-talked-about ending of Inception arguably asserts that choice is an illusion. When he is in-your-face about his focus on choice, such as Wayne retiring from being Batman, the Naturalists that he hasn’t fully seduced feel that tug in their stomachs and needle in their brains that come with your entire foundation of life being threatened. Snyder has never received such a free pass because his style is extremely in-your-face and his focus on choice is extremely explicit. He began his movie directing career with fast zombies in Dawn of the Dead and continued with hyper-masculine and assertive Spartans in 300. He hasn’t slowed or quieted down ever since. Showing Superman snapping Zod’s neck to explain the hero’s aversion to killing is just another move that forces his audience to accept to his style and the importance of choice in human life. He’s certainly not alone to this approach to film-making either. 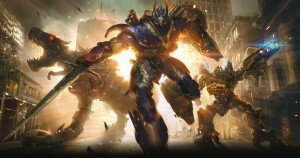 Michael Bay’s movies, for instance have a clear, definitive non-natural style. With the utmost intentionality, Bay largely foregoes understated character scenes in favor of grandiose battles between good and evil that almost feel like a thrill ride at an amusement part. He is constantly belittled for it, though the ever-growing opposition constantly cries that his style is destroying modern movies has yet to convince audiences to stop seeing his movies. Transformers: Age of Extinction is the highest grossing film worldwide in 2014. Yes, despite the histrionics of those vocal and persistent critics and moviegoers who expect Naturalism, Bay, Snyder, Nolan, and any other writer or director who prefers and executes any version or amount of Romanticism are not threatening the film industry or modern society. In fact, they’re doing just the opposite. They’re choosing to make movies how they want to and not listening to anyone else. That indifference is perhaps what bothers Naturalists the most as it renders their proselytizing and politicking ineffective, forcing them to constantly wonder how movies that shake them to their core can be enjoyed by so many other people. Let me be clear. There’s much more to loving an artist’s work than sharing a stylistic preference. There can be artists who are awesome at the style you love and others who are awful at it (generally there will be more who are awful than awesome as any skill is exceedingly difficult to excel at). Stylistic delineation also isn’t as simple as cleaving works into simplistic categories. Most people prefer elements of both Romanticism and Naturalism. Ayn Rand herself wrote in a style she called “Romantic Realism,” a label she created to distance herself, perhaps incorrectly, from any whiff of Naturalism. What I am saying is that there’s much more going on in the art of visual storytelling than those elements pointed at by flippant condemnations and visceral dismissals, on the sides of both the artist and the audience. Art is unique among human creations in its power to influence human psychology. Naturalism and Romanticism represent two diametrically opposed approaches to doing so. The former, as I have already noted, is a human helplessness pact–an acceptance that the world is the way it is and can’t be changed by anything a human thinks or does. Psychologically, there is only one purpose of art created in such a style. Naturalism is commiseration, an unstated understanding that the world and life are rough, but at least we’re in it together. The latter, conversely, is a contract of choice–a portrayal of the world the way the artist sees it now and hopes it could be one day. Psychologically, as I have shown, art created in such a style can scare people. However, it can also be a celebration, an in-your-face demonstration of the power of human will and action that energizes and inspires. While Hugo is ultimately accepting the human helplessness pact by associating Naturalism with what is “real,” he understood the role that art fills in human psychology. It is a source and reinforcement of the motivation to live. If a person watches television shows and movies that reject man’s ability to choose as an illusion and his life as an effect the world, he’ll lack the self esteem to take any productive or meaningful action. If a person watches television shows and movies that celebrate man’s ability to choose as important and his life as a cause of the world, he’ll beam with pride as he tries to shape the world into what he envisions. One of our greatest self-inflicted wounds is caused by our concession of the expert judgment of visual storytelling to those fans, critics, and creators who demand it through their, intentional or not, histrionical expectation of Naturalism. By doing so, we relegate Romanticism to “second-class citizen” status and resign ourselves to an existence with which we’ll never be satisfied. Decrying and defaming the intelligence and ability of a person who prefers a style of art that celebrates the possibility of human existence because it threatens the comfortable cradle of commiseration you’ve resigned yourself to is not just an odd curiosity. It’s malevolence. The next time you sit down to watch a movie or television show, I hope you realize the difference and make your choice accordingly.